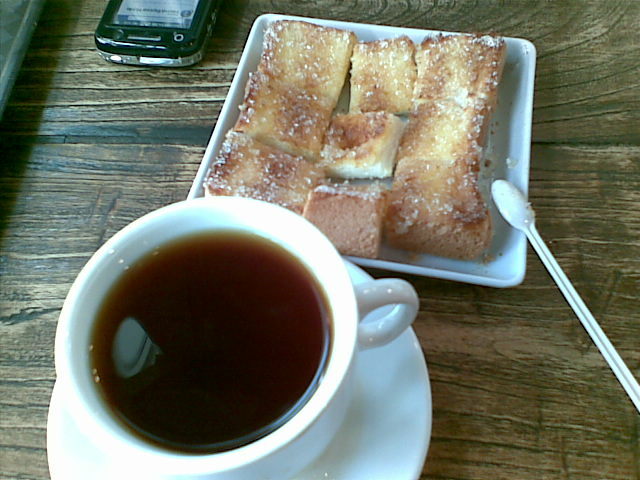 Tea and Butter & Sugar Toast from Toastbox. Something so simple tastes so good!!! The best butter sugar toast definitely has to come from Toastbox. This is like the ONLY place in Singapore that I know of that actually butters the toast for you. You would be surprised that most establishments do not butter the toast! What they do is shove in some slices of butter onto the toast. There is no way the butter is going to melt evenly onto the toast, if it melts to begin with. Too bad Toastbox isn’t more widely available as compared to Yakun. They have one at Raffles City, Suntec City, Vivo City and several other places. And I really love their old fashioned decor with all the old pictures too. If they just had some nice plush cushioned sofas, I could spend the entire day there with a laptop! I think most people think kaya is more “worth it”….but kaya is half sugar anyway! Give me butter sugar anyday!